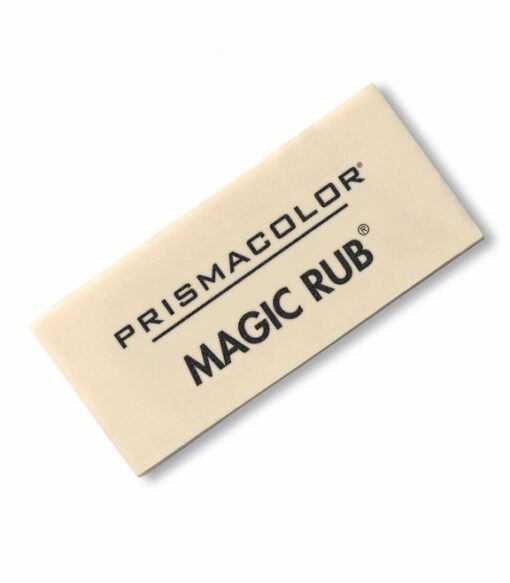 Erase unwanted pencil and ink marks in your drawings with ease using the Prismacolor Premier Magic Rub Vinyl Eraser. 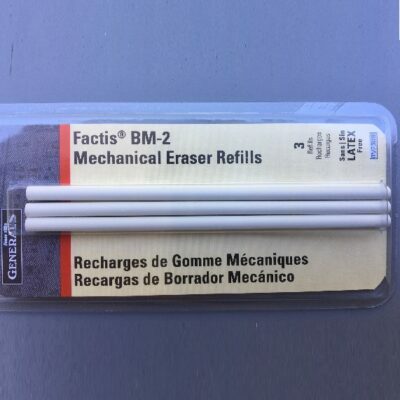 Featuring a latex-free design, this white vinyl eraser gently removes graphite and India ink without smudging or ripping the paper. 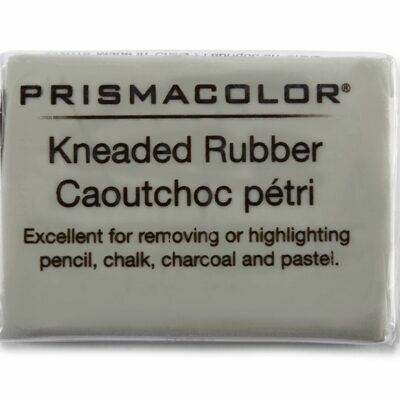 The sharp corners and edges make it easy to erase small markings. 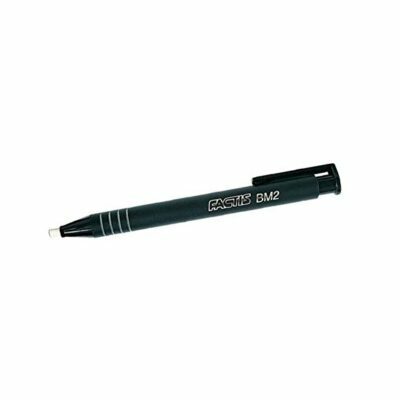 Suitable for delicate surfaces, and made of soft, sturdy vinyl, this professional-quality art eraser can be used to gently and cleanly erase graphite and India ink, all without leaving smears or tearing your artwork. The eraser's latex-free design reduces smudging. Great for beginners and pros alike, this vinyl eraser features sharp corners and thin edges, allowing you to clean up small details without disturbing the rest of the drawing. 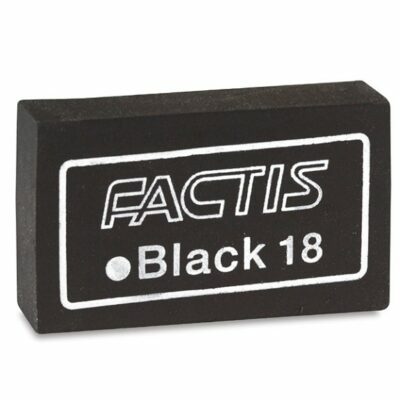 The eraser is easy to grip and comfortable to hold.